The first truely decentralized exchange is open for registration! 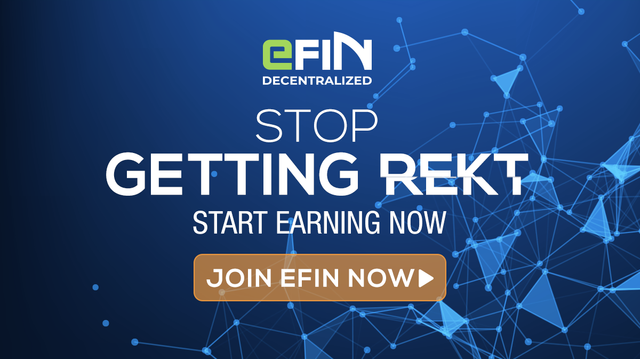 First 200.000 accounts get FREE 1000 eFin coins. 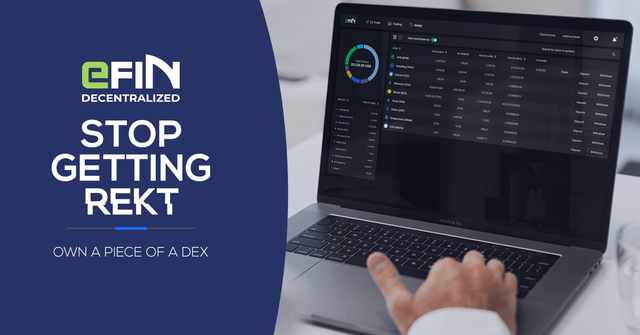 Registration is FREE and for a limited time you have the option to buy one of the 5000 partnership for a reduced price of 295 euro (different crypto payments) which makes you eligible to receive part of the DEX revenue. Additional benefits include free airdrops from future coin listings and no fee trading. Even if you don't want to become TokenPay's partner you can still sign up for the exchange for free and enjoy the security for your funds it provides! I am not a financial advisor and this is not a financial advise. At the time of writing there are still memberships offered at a discounted price. After the first 5000 partnerships are sold, the remaining 20,000 will be at a normal price. Total of 25000 partnerships to be sold ever. Partnerships renew annually. Congratulations @bebeomega! You received a personal award!